Ok, something completely fresh this time. 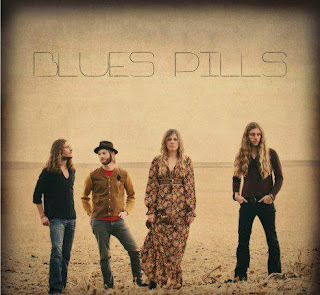 Meet Blues Pills, a young band from Sweden, that revives the good traditions of blues-rock with female vocals. And wow do they make it sound fresh! Interestingly they've found me on facebook and added me, which at first made me skeptical. Then again, why not use facebook to gather some listeners around the world? Specially when you're this good! Because when I've actually heard them, I had the jawdrop reaction and every single trace of skepticism left my body with saliva dripping from my gnarled mouth. Currently guys have released couple of EP's and heading for a full-length album. So always a good idea to support them by buying albums through the links below!